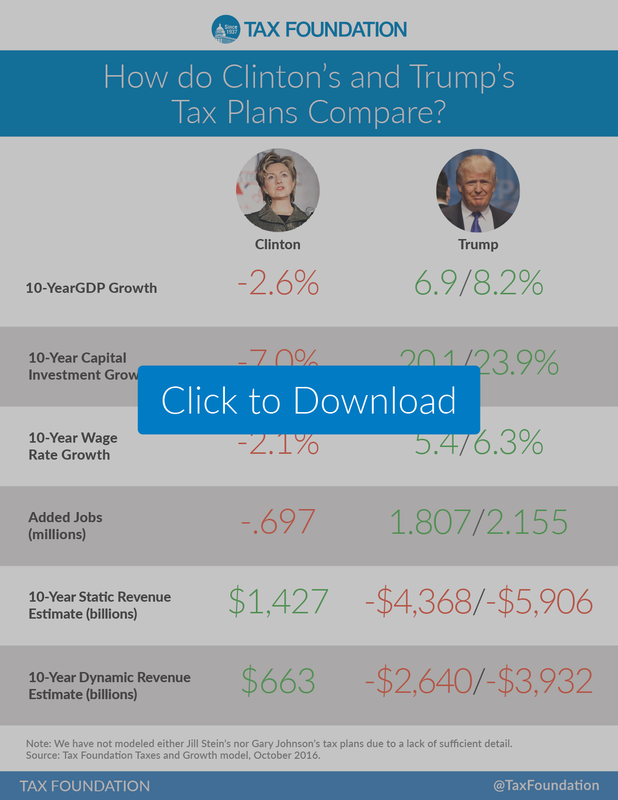 How do Clinton and Trump’s Tax Plans Compare? Download Attached DocumentBoth Hillary Clinton and Donald Trump have released tax plans during the campaign. The Tax Foundation has analyzed both the plans using our Taxes and Growth (TAG) model to estimate how their plans would impact taxpayers, federal revenues, and economic growth. Below, is a chart that contains all you need to know about the candidates’ plans. (Please feel free to share this chart with check out this post. Click here to see our full analysis of Hillary Clinton’s tax plan. Does Your State’s Corporate Income Tax Code Conform with the Federal Tax Code?